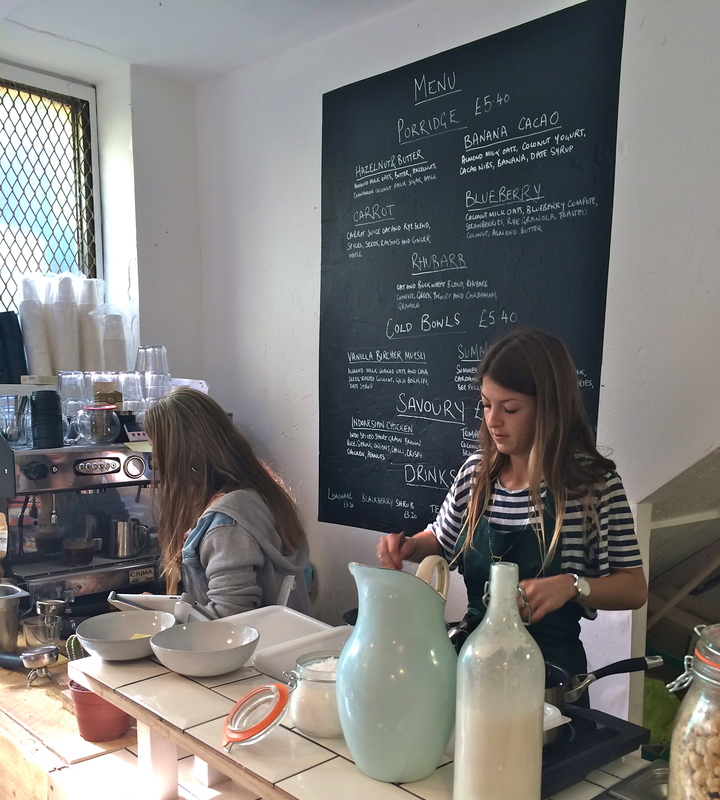 This morning, I headed down to Neals Yard to grab myself a delicious bowl of porridge from 26 Grains. I’m absolutely obsessed with porridge, and I eat some variation of oats pretty much every day. When I heard rumours of a new porridge shop that was doing very special things to this typically quite plain dish, I was desperate to go down and try it! 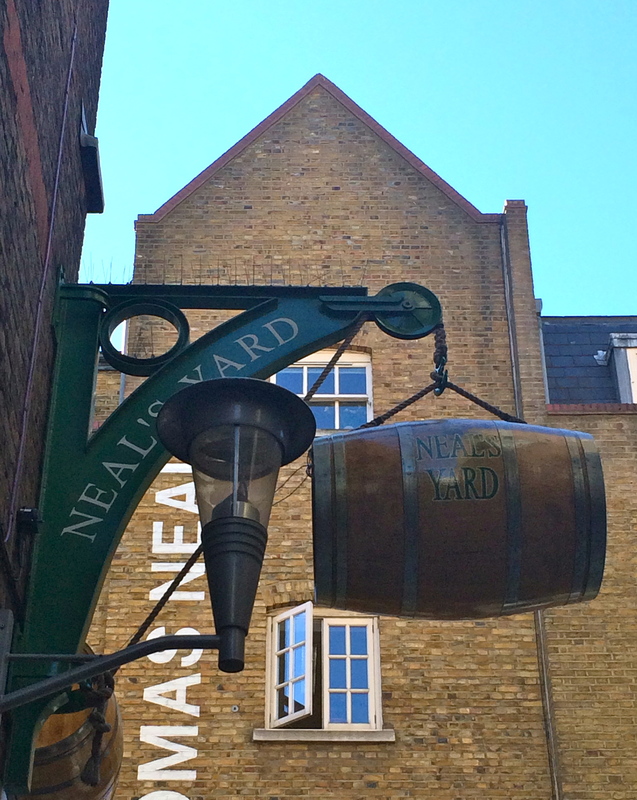 26 Grains is located in the beautifully tranquil Neals Yard near Covent Garden. This little corner of central london is tucked out of the way a little, and if you didn’t know about it already you would probably walk on past the alleyways that lead to it. It’s such a magically vibrant place, yet has a very calming feel to it. The doors of 26 Grain’s lovely little shop were flung open onto the sun drenched courtyard; the perfect place to sit and watch the world go by. It’s so beautifully decorated, with a really rustic feel that feels so welcoming. They have a very unusual selection of porridges all written on a chalk board, with fabulous ingredients like bee pollen, date syrup and cacao nibs. You can even try a carrot rye blend porridge if you like! 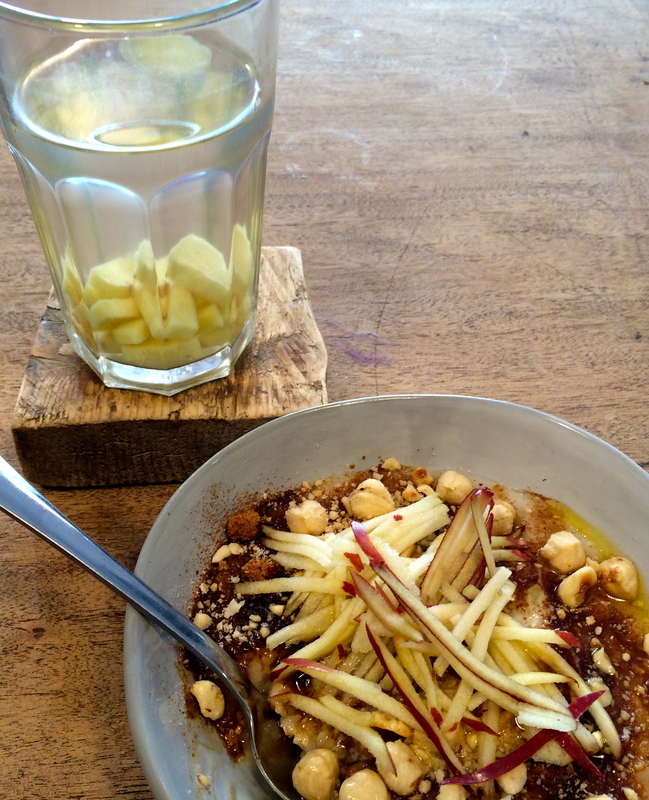 I went for the hazelnut and butter porridge because it sounded deliciously indulgent, and the fresh ginger tea. The tea came in a lovely long glass with big chunks of fresh ginger steeping away. It’s such a simple concept but so refreshing, and SO much nicer than a tea bag! My breakfast looked more like a work of art than porridge. I almost didn’t want to eat it! But then I remembered I like porridge too much. It was so creamy and warming, and just the right combination of salty and sweet. It was so far removed from those stodgy oats we are so often served at chain coffee shops. 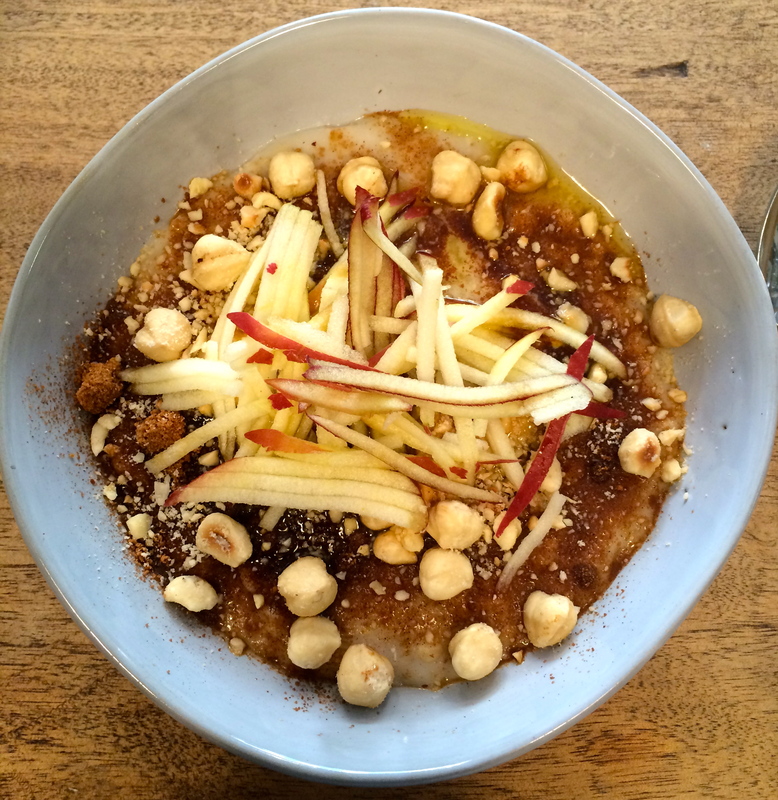 We are talking some seriously pimped- up porridge here! 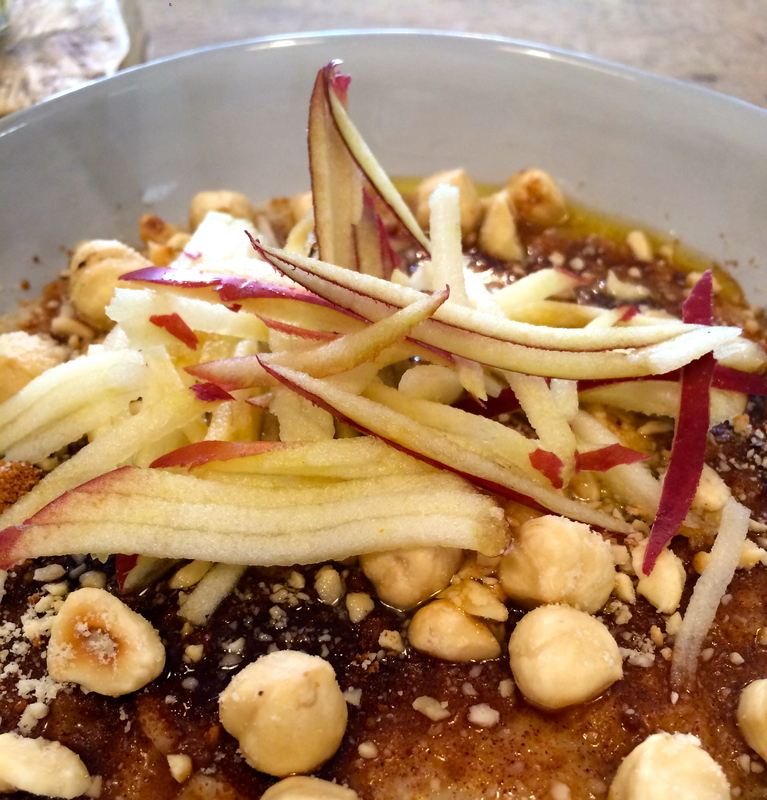 Mine was made with almond milk oats, butter, hazelnuts, cinnamon coconut palm sugar and topped with apple. Needless to say I was very sad when I got to the bottom of my bowl. Alex, who is the proud owner of 26 Grains, makes all the porridge herself, and you can really taste the love that has gone into it. The flavour combinations are all so creative, and the presentation and setting all make for a wonderful breakfast experience. She even makes savoury porridge too, and i’m itching to come back and try some for lunch one day. 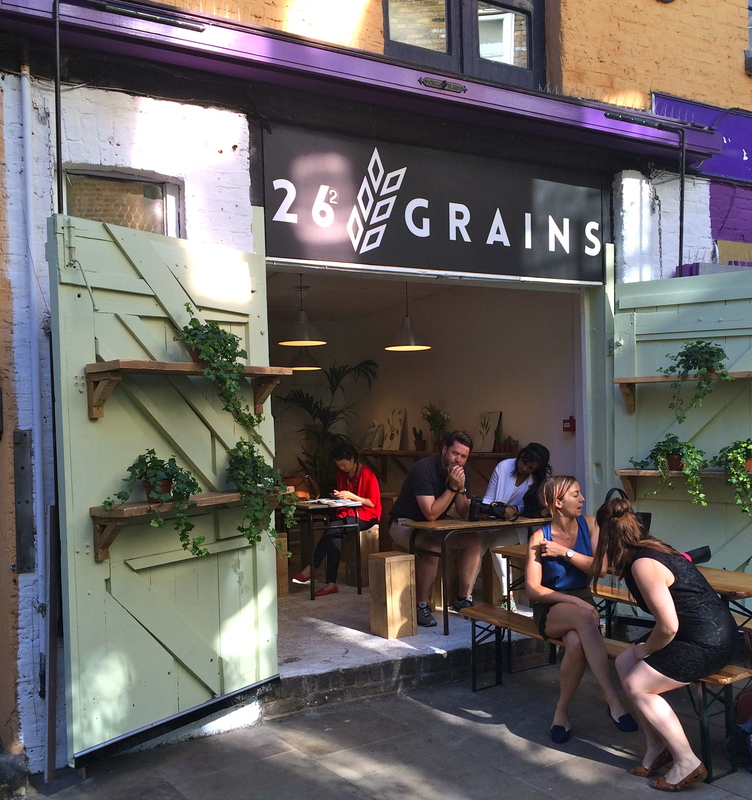 Alex is currently raising funds to make her pop up into a permanent residence for 26 Grains, and she need everyone’s help! 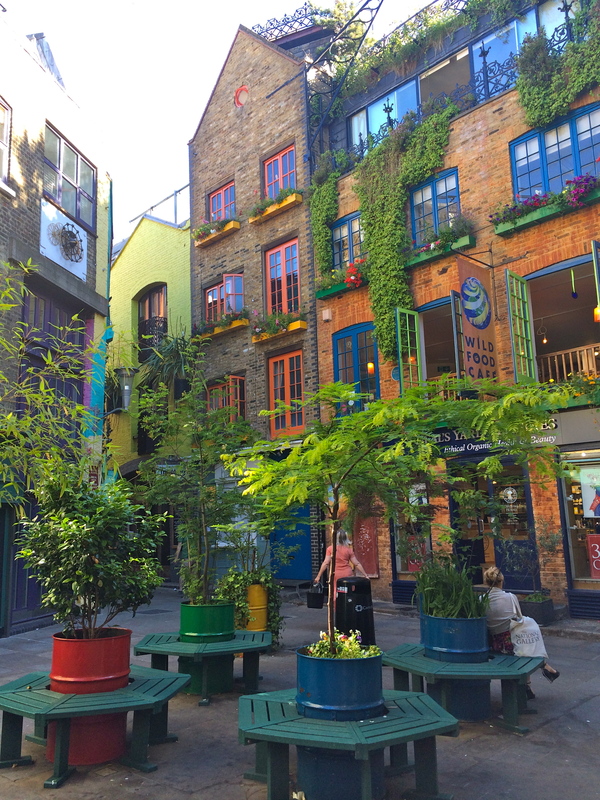 It would be such a shame if 26 Grains wasn’t in Neals Yard for good, so if you can donate then please do, and everyone can keep enjoying Alex’s delicious porridge in this beautiful part of London. Alex has 3 days to go and is SO nearly there- pledge what you can! Please sir, can I have some more? !